We’ve joined together with Sutter Home Family Vineyards to assist individuals struggling with hardships such as wildfire, hurricane, or other natural disasters, to provide affordable high-quality custom housing solutions through a down payment assistance grant. This grant will provide qualified applicants with the financial boost they need to secure a stable home and create the foundation needed to overcome adversity. 1.4 Million Veterans are at Risk of Homelessness. We're on a mission to change that. 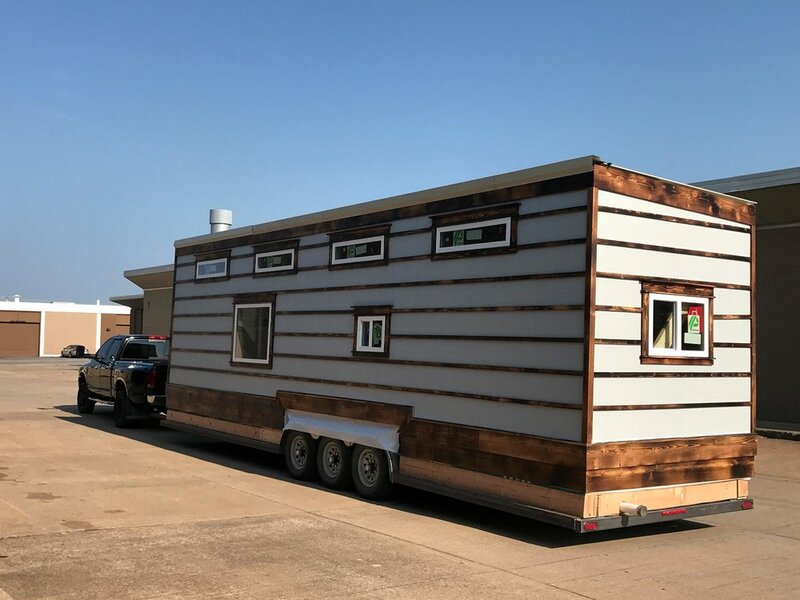 Operation Tiny Home and Zack Giffin, co-host of FYI’s TV Show, Tiny House Nation offer free tiny home building workshops for veterans. Zack brings a wealth of knowledge and experience to every workshop, offering hands on instruction as the group builds a custom tiny home. Participants enhance their knowledge while working together as a team to support fellow brothers and sisters of the Armed Forces. Find out about our organization, our mission, and the lasting impact we are creating. Ready to take the next step? Make a donation or volunteer your time to make a life-changing contribution.